This window crystal suncatcher is uniquely designed using a 40mm x 45mm prism crystal ball. 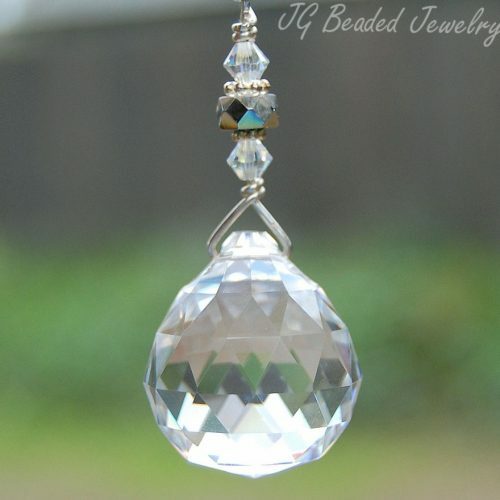 It is wire wrapped by hand and is embellished with clear faceted crystals, silver chain and a sturdy ring at the top for hanging. The length is 10 inches. When hung in a window with direct sunlight, you will have rainbows in the room! 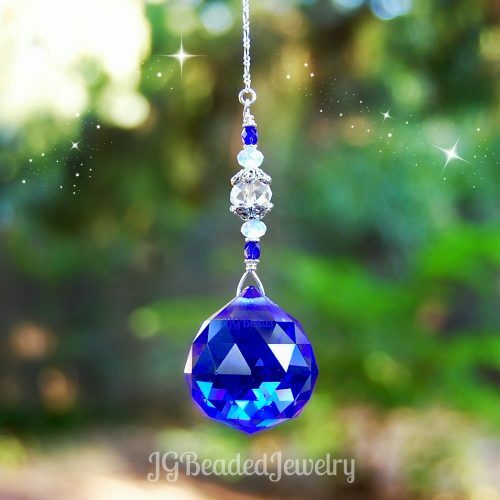 ♥ This window prism crystal suncatcher is large and heavy so it is NOT intended for the rearview. Smaller crystals with this design may be available by using the contact us form. Connect on Facebook for Giveaways and new items!